Lavender Bridal Bouquet Set – Pegasus Florist - Naturally Dried Lavender in Malaysia! There are 250pcs of naturally dried lavender in the bridal bouquet. 1. Can I customize the ribbon? 2. What will I get in this set? 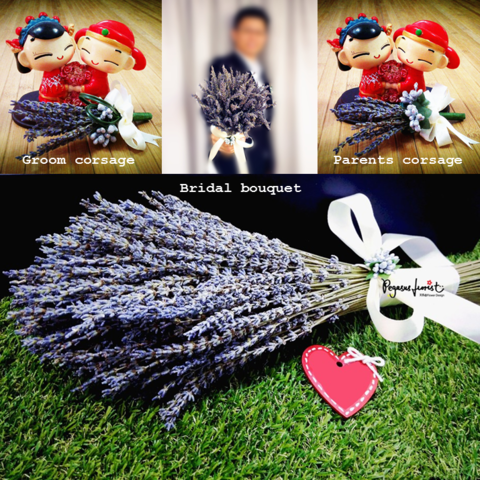 You will get lavender bridal bouquet x 1, groom’s corsage x 1, parents corsage x 4. 3. How early shall I place the order? 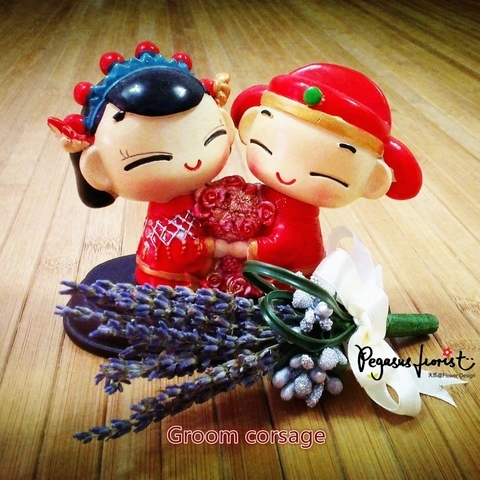 For lavender bridal set, we recommend you to order from us 2 weeks in advance. Just in case there is a problem during shipping, we will have time to react. This doesn't happen, but with weddings it is better to be safe than sorry. 4. How many days do you need to process my order? 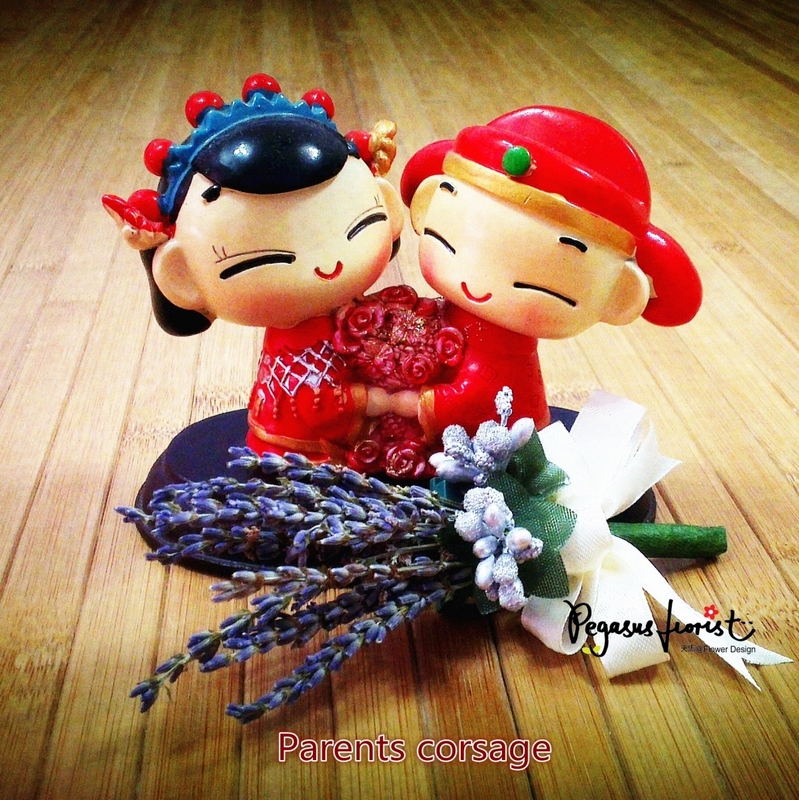 Once the payment is made, we will start to prepare your order & ship out within 3 working days. 5. There are drop of lavender buds when I open the box. Is it normal? 6. I can no longer smell the lavender scent on my big day. Why? 7. What should I do then? 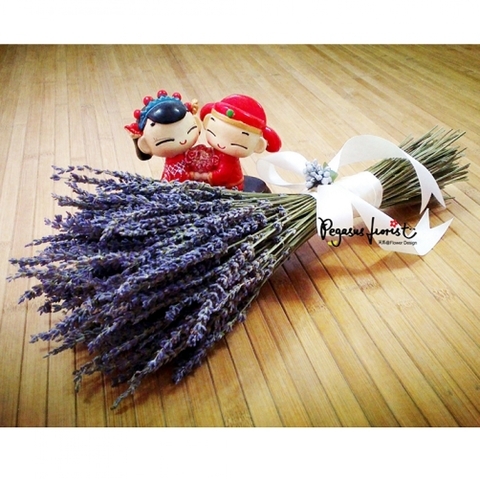 Gently pinch the buds with your fingers & you will smell the refreshing lavender scent again. Pinch more if you prefer a stronger scent. 8. Why my fingers feel slightly oily when pinching the lavender buds?